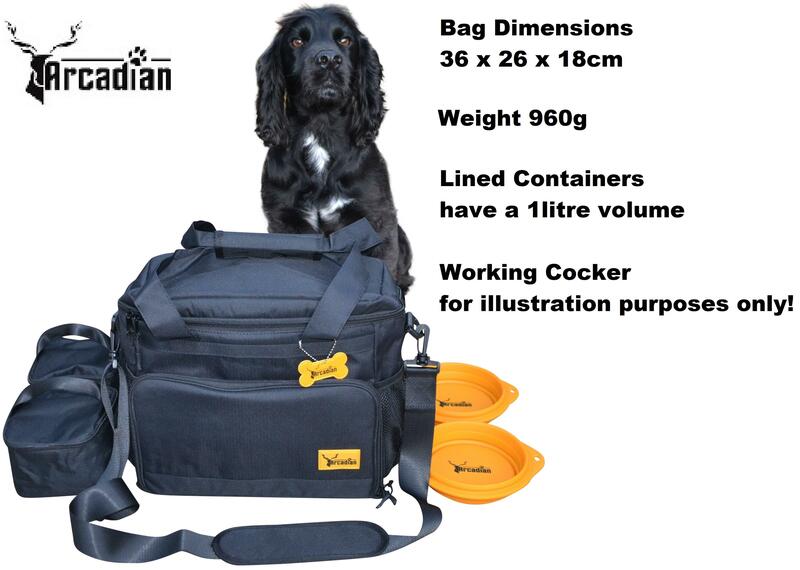 Convenient & Compact, Purpose Built Bag – Your Dog’s very own travel bag! 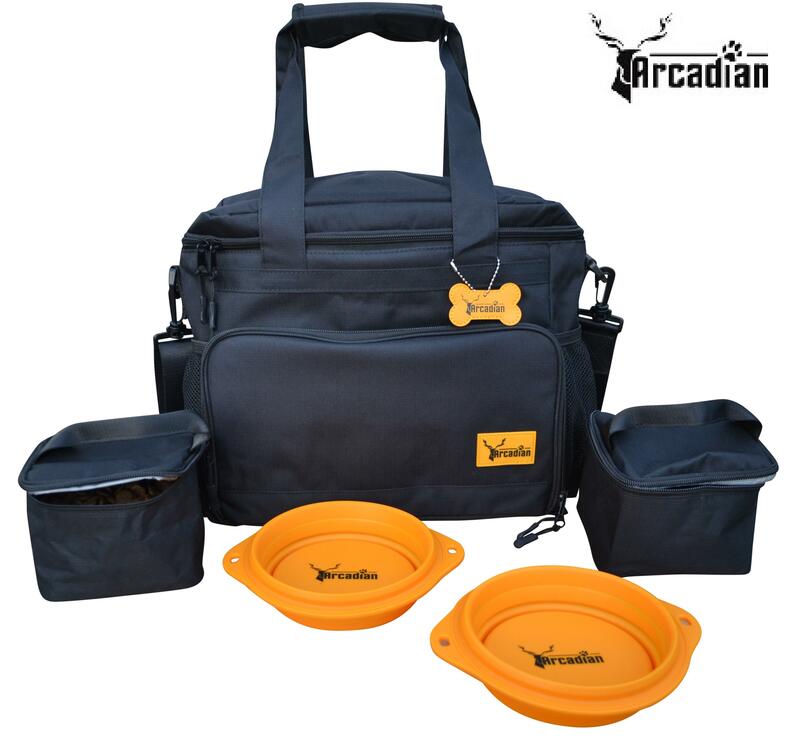 Designed by our canine experts, this bag has multiple compartments for all your pooches’ accessories. 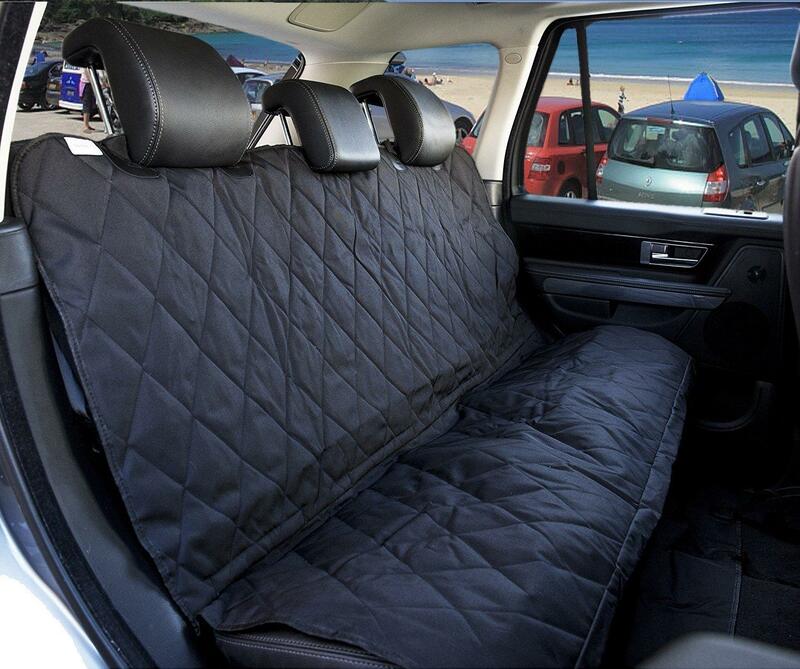 It fits within the overhead compartment of passenger airlines and the footwells of most cars. 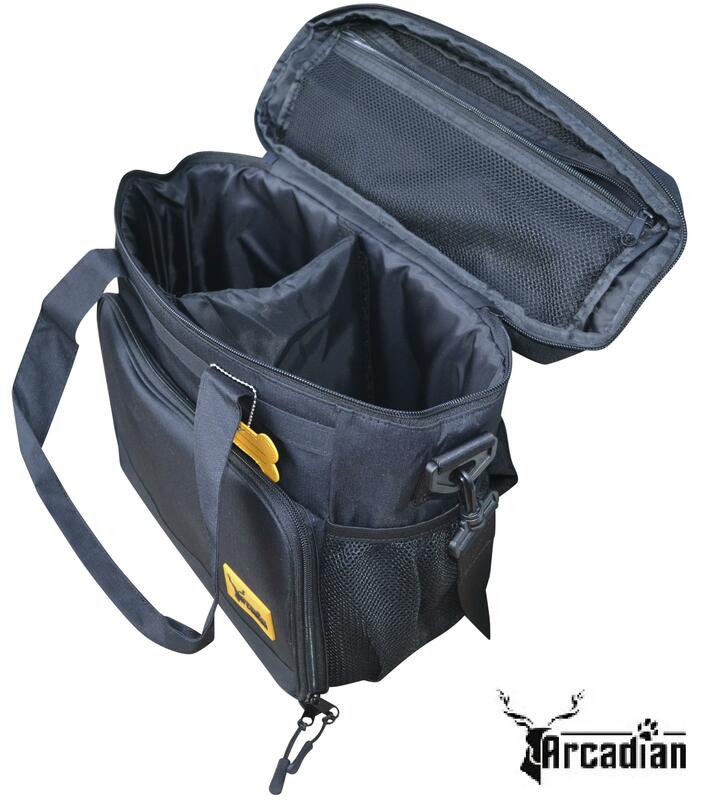 7 or 8 Compartments – So many pockets to help you find things quickly and with ease, includes a large main compartment divided into 2 (removeable divider if you prefer 1 large area), 1 front flap pocket, 2 side net pockets, 1 inner secure zipped net pocket and finally 2 rear pouches. 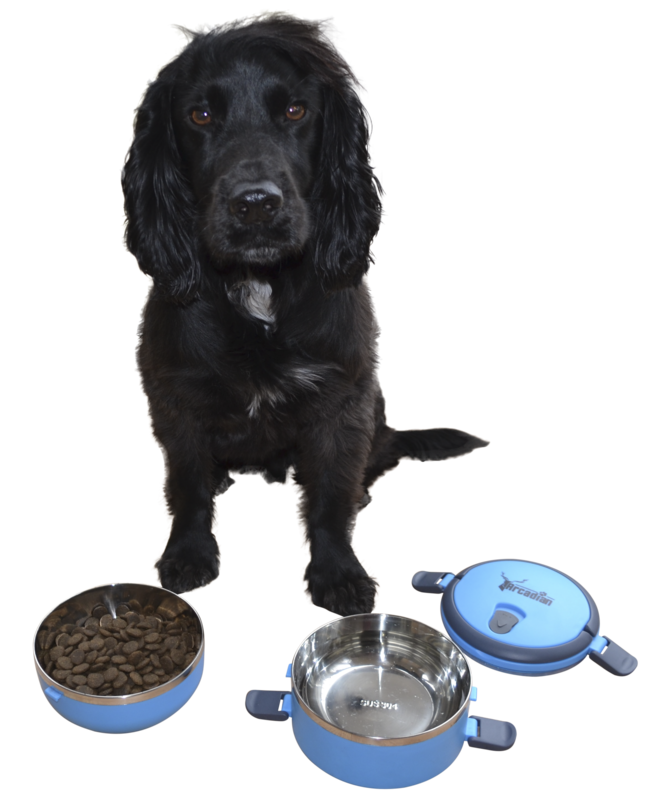 2 Lined Food Containers – Each with a 1litre volume, included with this set, as well as 2 silicone collapsible travel bowls. 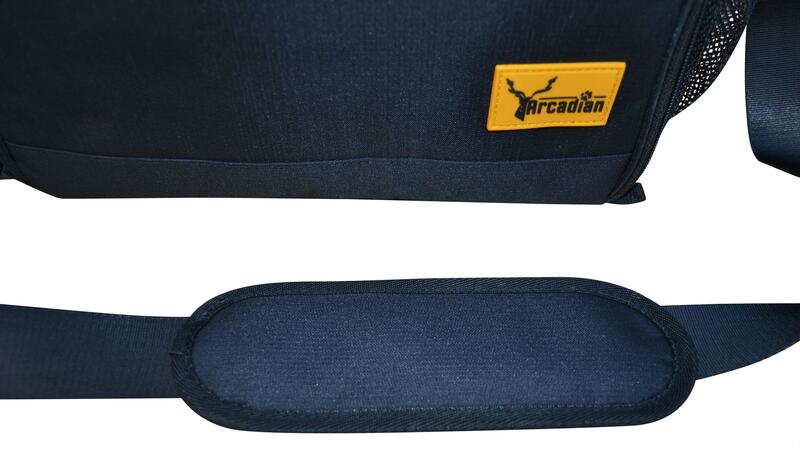 High Quality Material – We have used a Premium material for this durable bag, which can be wiped clean with ease. We’ve included a Padded Strap, making it comfortable to wear over the shoulder. Name Tag – Use a Marker to write your Dog’s Name and your details. We’ve included this great little identity accessory for when your dog stays in home boarding or kennels. Practical Size for Travel (our official size S – M, please read further size information within product description below). 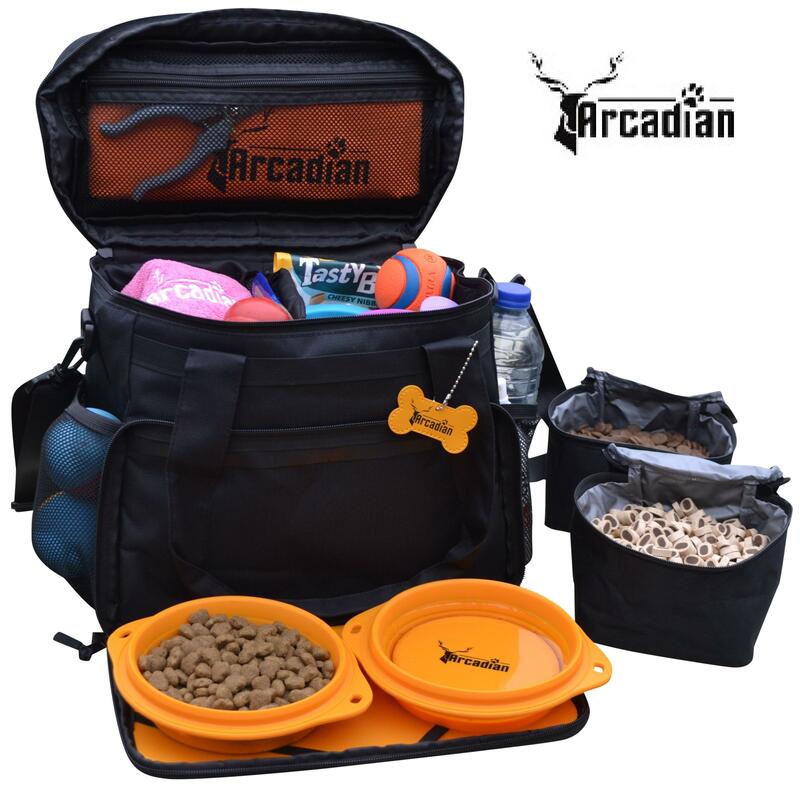 – This bag is a good size but not ridiculously big, making it ideal for those who frequently travel with their canines but don’t want to bring a large hold all. 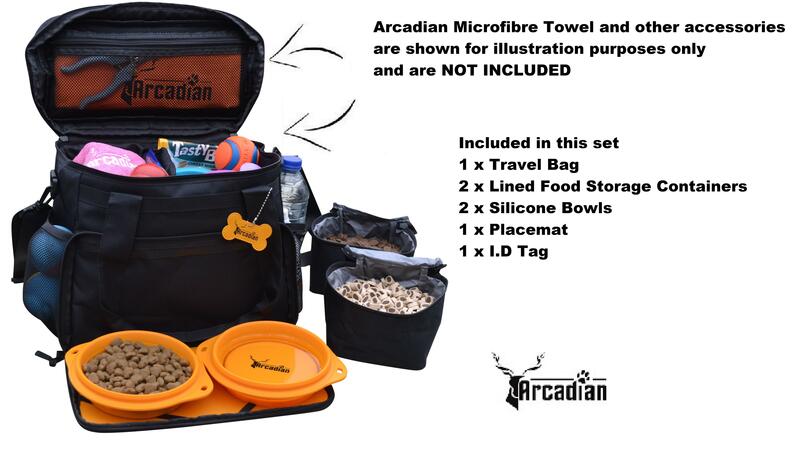 There is enough room to store all of your pets’ essentials as illustrated in the images. This bag is a practical & compact size, we are calling this bag size S – M as we do not want returns from customers expecting something huge! However, there is no reason why it cannot be used for larger dogs providing you only want to store accessories and treats. Our understanding is that anyone wishing to travel with a large amount of dog food will keep it in the manufacturers bag anyway which would be carried separately due to the size and weight. The silicone bowls provided are good for small to medium size dogs.